(PRLEAP.COM) January 17, 2015 - Divino Plastic Surgery, a highly-regarded plastic surgery practice in San Diego, California, is happy to unveil their newly-updated website, DivinoPlasticSurgery.com. The site features a wealth of information on various cosmetic procedures, including breast augmentation, mommy makeover, rhinoplasty and more. Dr. Chacon and his staff expect that the search-engine-friendly nature of the site will help his business to continue to succeed and attract new patients. DivinoPlasticSurgery.com features before and after photos of actual patients, along with blog posts relating to the most recent developments in plastic surgery, and related news. The focus of the site upgrade is to empower new visitors to learn about the procedures that Divino Plastic Surgery offers, complete with before and after photos, testimonials and expert descriptions of the process itself. Dr. Chacon offers a number of different cosmetic surgeries, from the popular breast augmentation to tummy tuck, nose jobs and lesser-known procedures like otoplasty, male liposuction and labiaplasty. Divino Plastic Surgery has two locations in San Diego; one is located in Encinitas, and the second in Bonita. They cater to residents of San Diego, and the outlying areas. 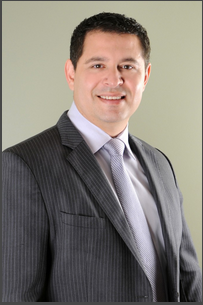 Dr. Carlos Chacon, MD, MBA, is a board-certified plastic and reconstructive surgeon. He earned his medical degree from the University of Arizona. He completed his residency in plastic surgery, serving as chief resident, at the University of California, San Francisco. Dr. Chacon is a member of the San Diego Plastic Surgery Society, the California Society of Plastic Surgeons and the American Medical Association. You can schedule a no-obligation visit with Dr. Chacon by visiting DivinoPlasticSurgery.com, or calling (858) 633-7546).